Now that I'm officially working full-time, I feel as if time is never on my side in the morning and so I've created a routine to follow to make sure I can always get through my work day during the week. Besides my typical hygiene habits, a big part of my day is making sure I can have some breakfast, but my favorite part is alwaysssssss the coffee. Normally, I'd always try to run to the coffee shop before work and stand it line for an overpriced cup of coffee to get me through the day. 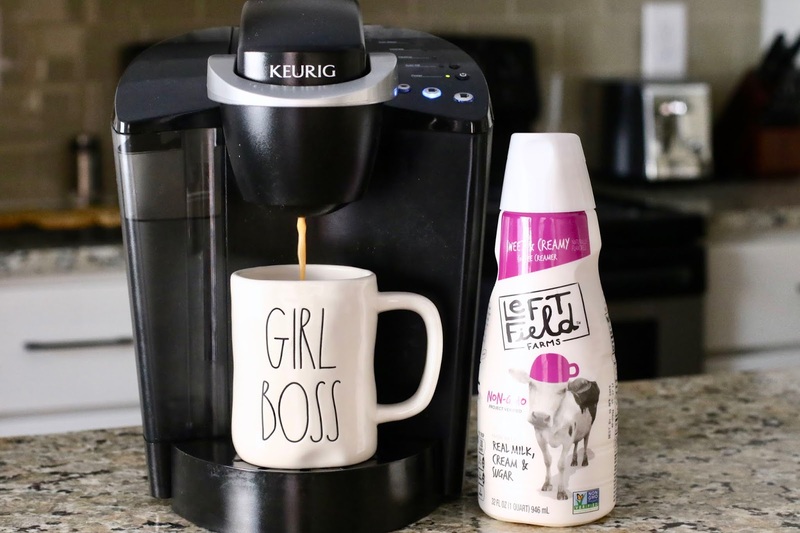 To be more efficient this year I've decided to put my coffee maker to work, invest in cute mugs, and fall in love with a new coffee creamer called Left Field Farms! 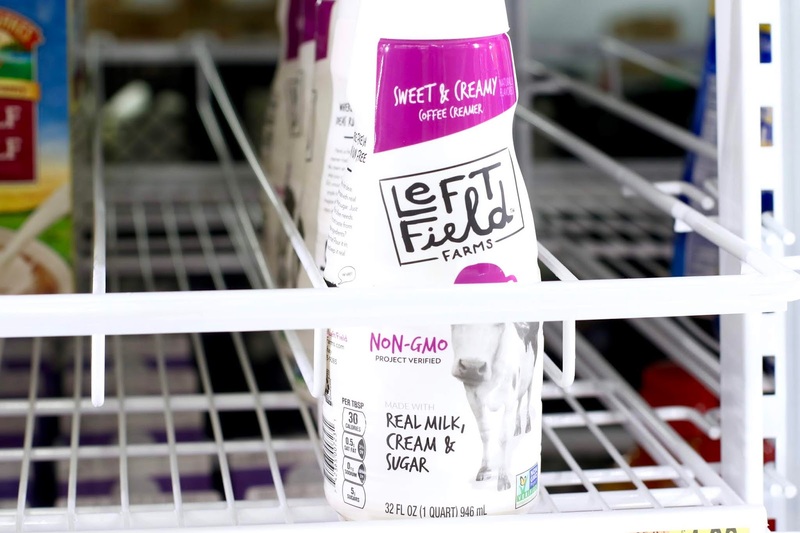 Left Field Farms makes coffee creamers that are simple, delicious, and I can't forget Non-GMO Project Verified. It's made with real cream, real sugar, and real milk. I don't think it can get anymore real than that. So far there are three flavors available, sweet & creamy, vanilla, and caramel! I don't know about you guys but I like my coffee sweet so it's not wonder I was sure to grab a bottle of the sweet & creamy. When I tell you that this creamer is a great bang for your buck, I'm serious! There's the right amount of sweet and right amount of cream and it pairs well with almost any coffee that I can think of. I've been drinking coffee for as long as I can remember and there's nothing better than finding the perfect creamer for yourself. Top it off with some whipped cream if you're feeling rather creamy and grab a cup togo. My favorite part of all is knowing that the ingredients are real and to the point. Absolutely no artificial flavors, just simple and delicious! You can be sure to find these at your local Walmart in the dairy aisle. With only 35 calories per serving, while being low in fat, cholesterol, and sodium, you most certainly can't go wrong. Currently it's available in a 32 fl oz bottle. 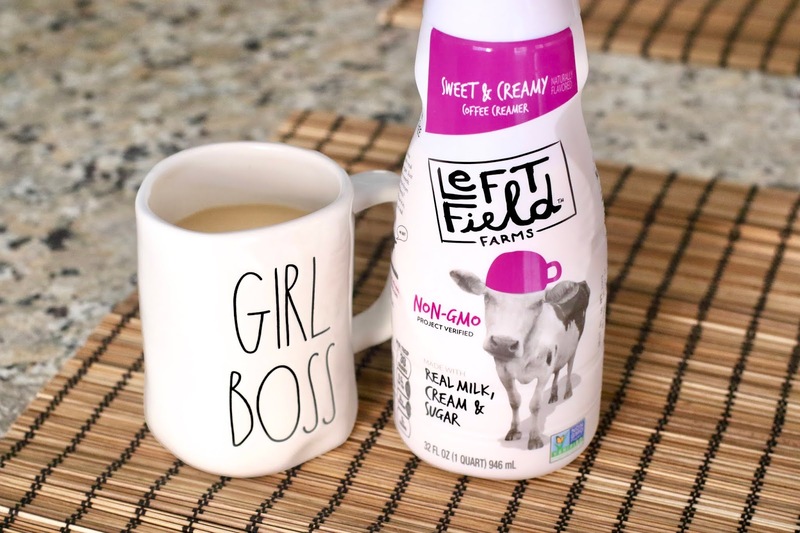 Start your mornings right with Left Field Farms! I'd love to give the caramel a try, but all the flavors sound delicious and I love that there's nothing artificial. 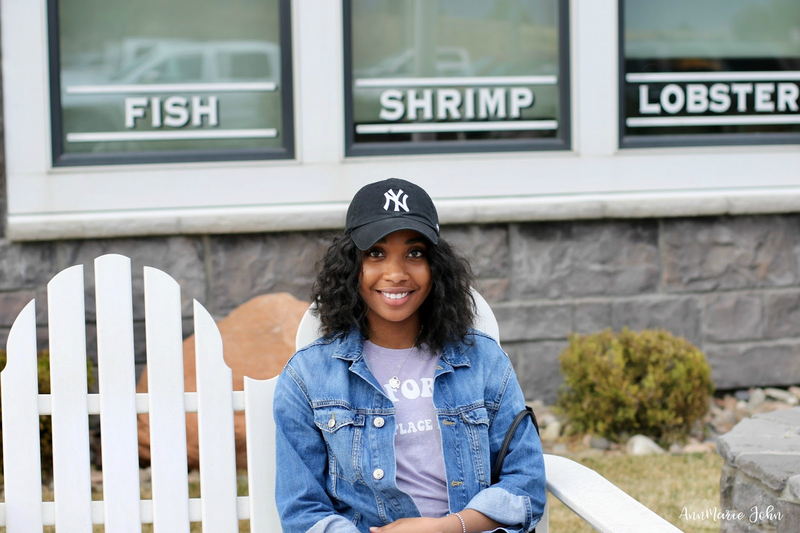 Just natural goodness.